Brief Description: Two Little Fishies CDX Carbon Dioxide Adsorption Media helps maintain and elevate aquarium pH by removing CO2 (carbon dioxide) introduced through a protein skimmer. 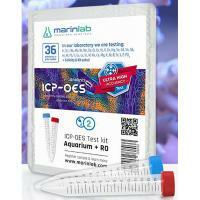 Excess CO2 is a problem because it dissolves into aquarium water amd depresses the average pH. Simply pour the CDX into a tall columnar reactor such as the Two Little Fishies PhosBan Reactor and connect the CDX-filled reactor to your protein skimmer's air intake hose. 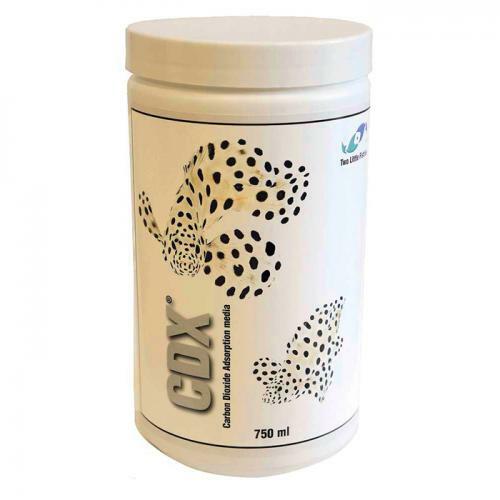 Notify me when "CDX Carbon Dioxide Adsorption Media [750 mL]" is re-stocked. Introduce carbon dioxide adsorption into your system if your tank continuously suffers from low pH. This can be caused when aquariums are in closed air buildings. 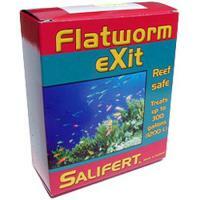 Available in two sizes - 750 mL jar will last about 6-8 weeks in the average 50 - 100 gallon reef aquarium. CDX Media is exhausted when it changes from white to pink.